Here you can find out about resources we have made especially for teachers and schools. Enjoy. Pacitti Company make SPILL Festival of Performance, an international festival of contemporary arts and activism presenting the work of exceptional artists from around the globe. Pacitti Company and SPILL Festival’s free WW1 resource pack provides schools with information and lesson plan ideas keeping your key stages in mind (KS1-3). This pack embeds three of SPILL Festival 2018’s artworks linking to WW1. 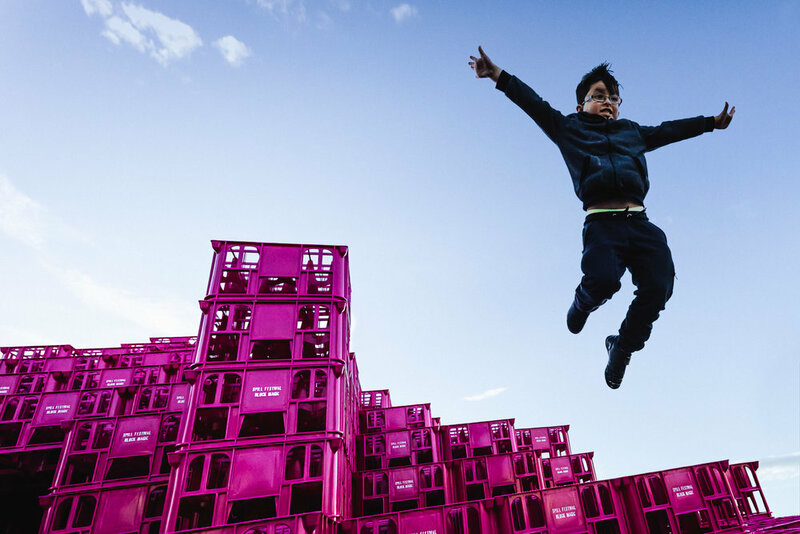 During SPILL 2018 Block Magic was a constantly shifting playground structure made of coloured crates. Determined by local children, using dedicated software to tell us what they want, imaginative play spaces were designed then built daily as physical structures for kids to play in. The project was a collaboration between Pacitti Company and local architectural practice EDRM. Post SPILL 2018, Block Magic has been donated on a year loan to local schools in the Ipswich region. In addition, schools are offered free facilitated workshops with the artwork throughout the year. If you would like your school to be nominated for a Block Magic loan, please contact our Participation Producer. In the meantime, your students can still use the dedicated software to design their own imaginative play space here. The software and information sheet are free to download and are for teachers and facilitators working with children ages 5-12 years here. Please contact our Participation Producer - Alice Sandon alice@pacitticompany.com if you have any questions or to enquire about how your school can get involved with Pacitti Company and SPILL Festival of Performance 2020.